It looks like SmallHD is getting some direct competition for their brand new FOCUS OLED monitor, which we recently reported on. 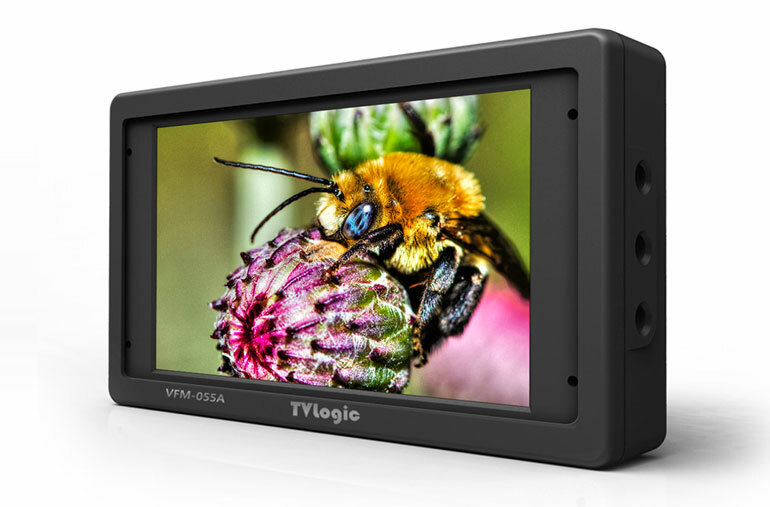 The TVLogic VFM-055A is a 5.5 inch OLED On-Camera monitor, with many of the same specs as SmallHD’s new OLED monitor. Except TVLogic’s monitor goes for over twice the price of the SmallHD. It may seem crazy for anyone to pay twice the amount for an almost identical product, but in the traditional broadcasting world, TVLogic has long standing customer relationships, whereas SmallHD has carved out a niche specifically in contemporary filmmaking. TVLogic has been an industry standard in the film and television broadcast industry for their color accurate editing and display monitors. But they haven’t really competed in the on-camera monitor space. 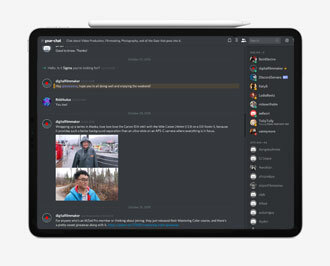 It will be interesting to see if news photographers and in-studio broadcasters will adopt this monitor for their on-camera use. 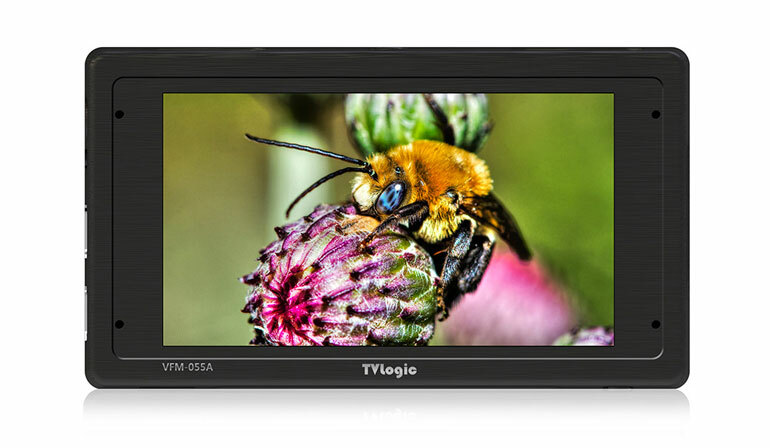 The new VFM-055A monitor has a 1080p OLED display with a 17,000:1 contrast ratio, a 160 degree viewing angle, and a brightness of 350 nits. The standard waveform, vectorscope, and audio meters are included, as are LUTs for popular camera profiles from ARRI, Canon, RED, and Sony. 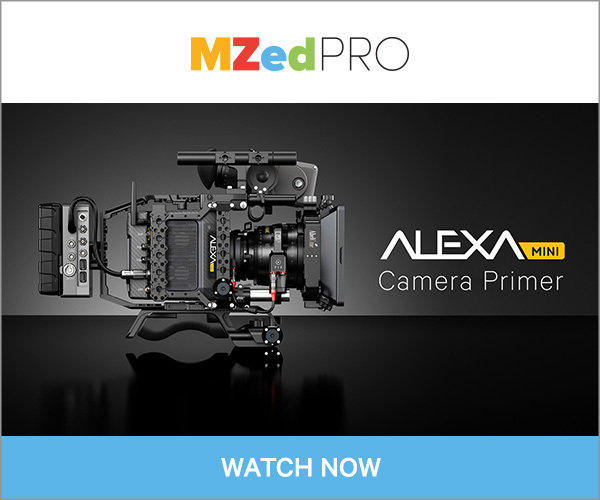 There are many other software features such as blue and monochrome modes, timecode settings, pro focus assist functions, and customizable markers. A sony L-series battery powers the unit, just like in the SmallHD FOCUS. The TVLogic monitor does not have any output to power your camera, which the SmallHD does uniquely. It appears the major advantage is the TVLogic monitor has SDI input and output, where the SmallHD FOCUS OLED is currently HDMI only. But SmallHD does have SDI options for their original FOCUS monitor, so we assume an SDI OLED version is not far behind.